A good night’s sleep is necessary for you to maintain a strong immune system and have the energy to carry out the demands of the day. Without sleep, you can quickly become rundown and tired, even risking your overall health. Sleep apnea is also correlated with sudden cardiac death. If you suffer from sleep apnea, promptly contact Legacy Dental Care for a full evaluation. Dr. Semerad offers highly knowledgeable sleep apnea care. We are even located across the street from a sleep study center, Alegent Health Sleep Center. When we sleep, muscle relaxation and gravity can cause the tongue and soft tissue of the throat to collapse into the airway, leading to snoring and obstructive sleep apnea (OSA). Are you CPAP intolerant? Dr. Semerad can help you manage your sleep apnea disorder through the use of an oral appliance. These appliances can prevent collapse of the tongue and surrounding soft tissues into the airway during sleep, providing much needed relief and better rest. In many cases, an oral appliance can even replace your C-PAP! 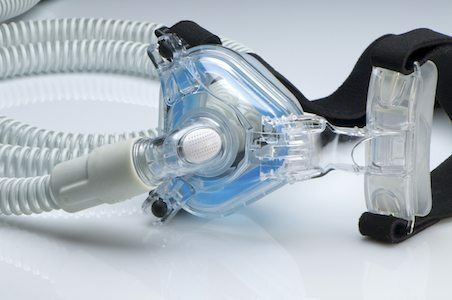 Oral appliances are non-invasive, helping make sleep more comfortable and preventing the need for bulky CPAP equipment. Benefits can include more restful sleep, increased energy, lowered blood pressure and more! Oral appliances are often covered by medical insurance or Medicare. Call our office today to sleep better tonight! At Legacy Dental Care, we are committed to making sure you get the high quality dental care you need by offering a variety of sedation dentistry options.